If we are going to act effectively in such a complex situation, we need to know the different aspects of homelessness and how they change over time. The 2018 count will be part of a Canada-wide initiative in which 61 communities have been asked to count the number of homeless people in their territories (Everyone Counts 2018). In addition to Montreal, 10 other Quebec communities will conduct a point-in-time count under the direction of the Ministère de la Santé et des Services sociaux. In Montreal our goal is to repeat the 2015 exercise with a few improvements. The new socio-demographic data will add to our knowledge about homelessness and give us a better understanding of the phenomenon. Who is responsible for the 2018 Montreal count? 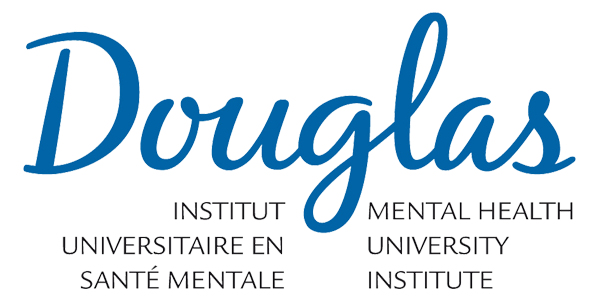 The City of Montreal and the CIUSSS du Centre-Sud-de-l’Île-de-Montréal have mandated the Douglas Hospital Research Centre to conduct this second count of the visibly homeless in Montreal. The Douglas Hospital Research Centre team, which has unique expertise in this field, is led by Eric Latimer. It is supported by the Movement to End Homelessness in Montreal (MMFIM), which will recruit and organize the volunteers and provide strategic and logistical communications support. Can you get reliable data from a count that only lasts for a few hours? Our methodology is reliable and has been developed with many partners over time. It is supported by all three levels of government (municipal, provincial and federal). All of the 2018 Canadian counts will use similar methodologies with a common core, which will make it easier to compare information between towns and regions and understand the data. Keep in mind that this exercise will focus only on visible homelessness; other knowledge development initiatives will be needed to complete the portrait of homelessness and all the needs so that we know what services to provide. The information it provides will be useful for revealing the current situation of people in public areas and resources and creating solutions for their particular needs, including better planning of emergency measures for the homeless, especially in public areas and emergency shelters (refuges). How many homeless people do you think there are in Montreal now? After the first count in 2015 we estimated that there were 3,016 visibly homeless people in Montreal during the night of March 24, not counting the hidden homeless (in rooming houses, staying with others, in hotels or motels, with no fixed addresses). About one quarter of them had been chronically homeless for four years or more. Has the portrait of homelessness changed over the years? Homeless has changed a lot over the years. It affects not only men, but also women, young people and seniors. New arrivals and Indigenous people make up a growing subset of homeless people. The 2018 count will update the figures and let us measure the changes since 2015. What practical benefits have been recorded in the fight against homelessness in the cities that do these counts? Cities that are seriously interested in the problem of homelessness have tried to measure the results of their programs. By way of example, the 2015 count showed that 76% of respondents who had slept outdoors had also attended day centres in recent months. That significant piece of information led the City to take more interest in the work of Montreal’s day centres and devote more support to them. In Vancouver the annual counts have attracted media and City attention to the problem of homelessness and how to get people off the streets. In Toronto the 2006 survey (the very first) showed a lot of people sleeping in parks and other public areas. The 2013 count revealed that a disproportionate number of very vulnerable members of the LGBT community were among the young homeless, which led to the creation of specific programs for that community. Since the count gives you a snapshot of visible homelessness on just one night, how can you be sure you are taking all the homelessness needs into account when you make plans for the future?